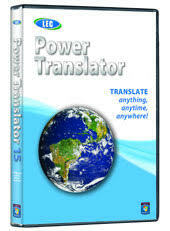 Power Translator Personal meets the needs of individuals to communicate with family and friends. Great for students. Personal versions provide bidirectional translation between English and one other language (either Spanish, Portuguese, French, German or Italian). French<>German and Italian<>German translation are also available. In addition to the software, you receive a 1-month subscription to LEC’s unique and powerful Translate DotNet, giving you access to 21 languages and over 300 language pairs.